With a town-wide ban on fast-food joints, neon-signs, stilettos and parking meters, Carmel by the Sea or simply ‘Carmel’ for short, located in Northern California, is a socially progressive fairy-tale come true. Oh, and did I mention Clint Eastwood used to be Mayor? 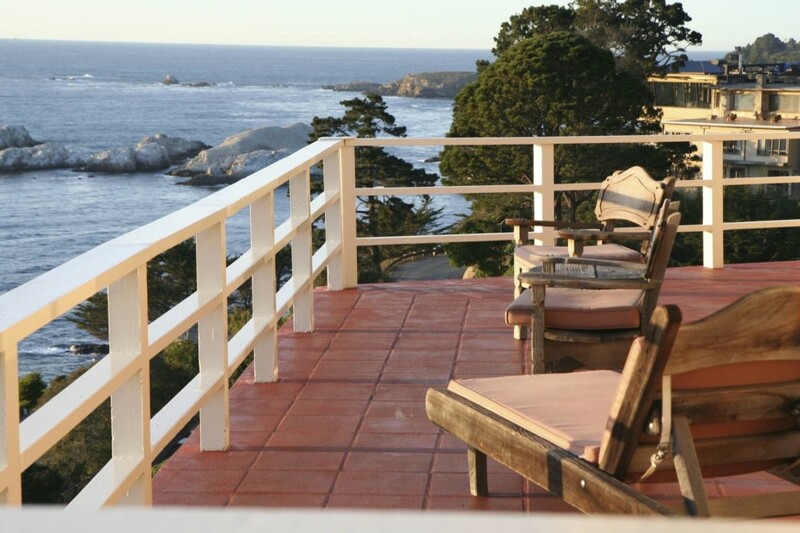 Once upon a time there was a picturesque bohemian retreat not two hours outside of San Francisco situated along the breathtaking Monterey Peninsular. After the earthquake in 1906, San Franciscans would sneak away from the hustle and bustle of the big smoke so they could wile away the long weekends and let the Carmel sun and surf wash away their worldly woes. Not much has changed – except maybe the number of tourists (and celebrities) – but a ban on house numbers and renting a home for less than 30 days seemed to keep the influx in check and confuse the hell out of the Postman, I’m sure. No one recalls the enforcement of the so-called stiletto bylaw since its inception in 1963, but the others are presently in effect and the locals will continue to fight the good fight with McDonald’s until the day a cheeseburger slaps them in the face. When Clint Eastwood was the mayor of this picturesque town from 1986 to 1988, tourists queued down the street to attend council meetings. 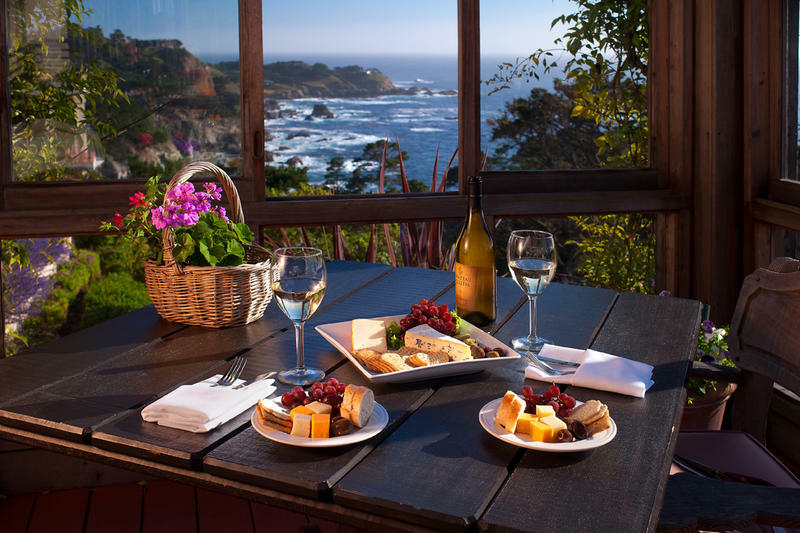 These days they seem happy enough just to hang out at one of the many restaurants in leafy Ocean Avenue, staring at the glistening Pacific right in front of them or at the breathtaking backdrop of the Carmel Highlands in the distance. Houses like these ones invite some drool-worthy gazes. 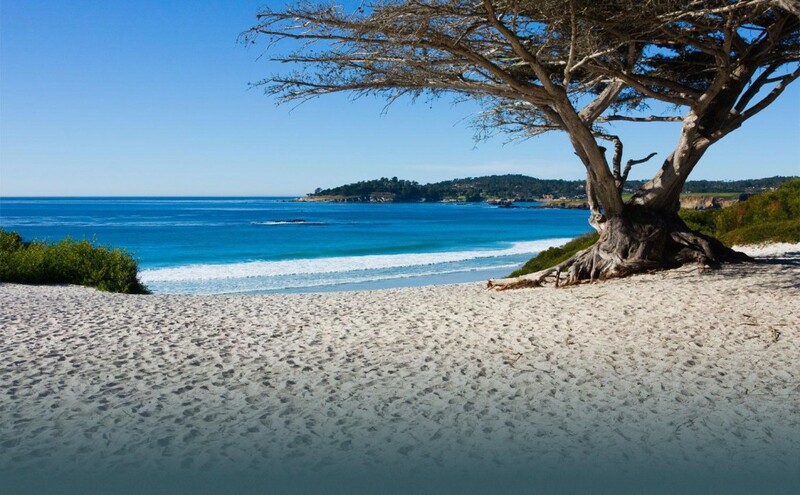 Ocean Avenue runs down to the silky white sands of Carmel Beach, lined either side with around fifty art galleries and numerous gift shops, restaurants and designer boutiques. It’s quaint, but altogether a bit touristy … although tour buses in this part of town are included on the list of Carmel contraband. If you meander away from the main street (Ocean Avenue), you’ll start to believe you’ve stumbled into a children’s book complete with gingerbread houses and happily ever afters. I suppose avenues lined with shingle-roofed houses with kitsch names like “Knotvery Lodge” and “ The Last Resort“ is at the very least a way of getting over the problem of no numbers. 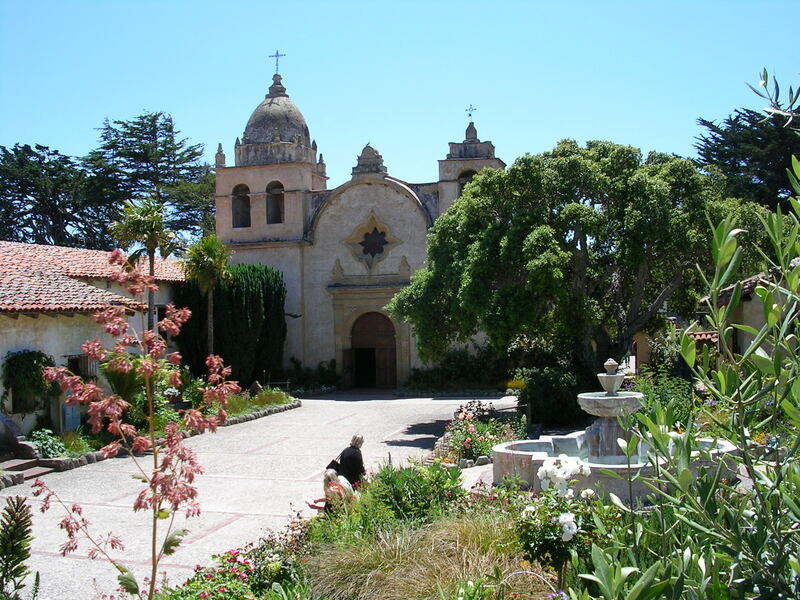 Don’t leave town without visiting the Carmel Mission, which dates back to 1771 and was the second of California’s 21 missions. The sandstone church was built in 1793 and restored in the 1930s. Stroll through its colourful gardens or escape the heat of the day inside the dim, cool basilica and museum. The Carmel Mission Basilica has some of the most significant religious artefacts in California. It houses California’s first library, as well as a collection of tools and equipment used by the Spaniards and Native Americans in their daily life at the mission. 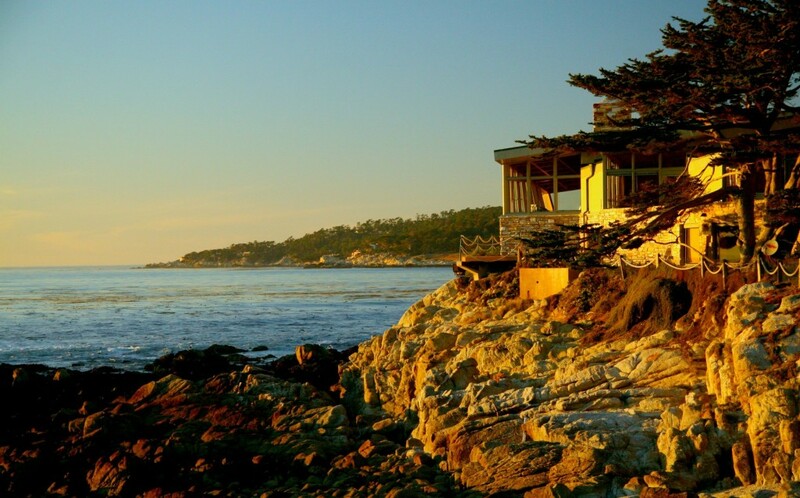 Entry to one of the Monterey Peninsula’s other most famous draw-cards, the mesmerising 17-Mile Drive along Pebble Beach, is also just a few blocks from the heart of Carmel. 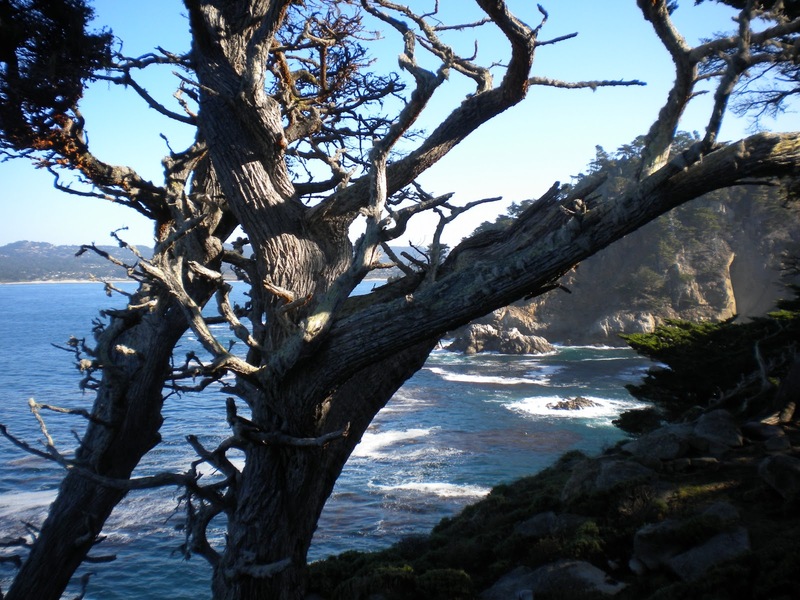 The drive is the most famous stretch of road in the USA today thanks to its dramatic scenery, and offers staggeringly raw views of the coastline. 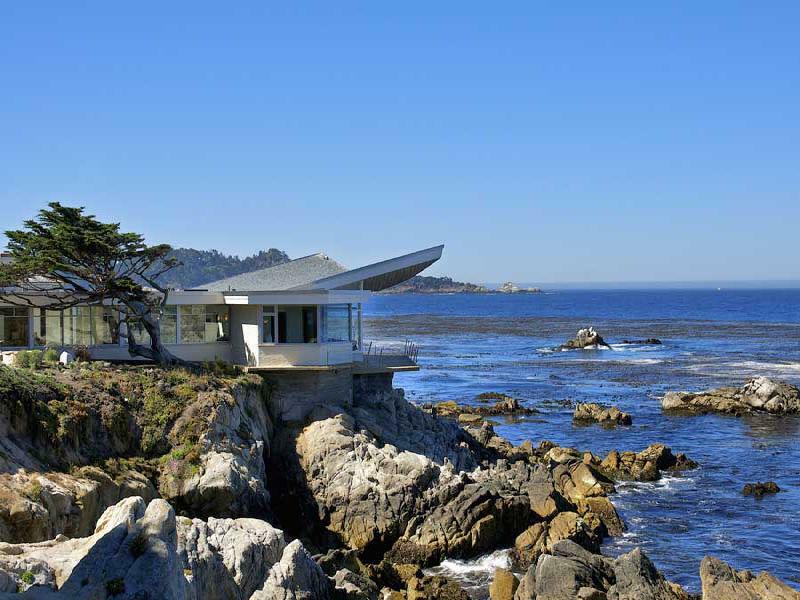 A toll road from Carmel leads to one of the most striking and not to mention expensive Golf Courses in the world, Pebble Beach Golf Links, jutting out along the cliffs of Carmel Highlands. Be ready to rub clubs with the billionaires because as 18-hole round will set you back a cool US$450 per person (and you might have to book months ahead). 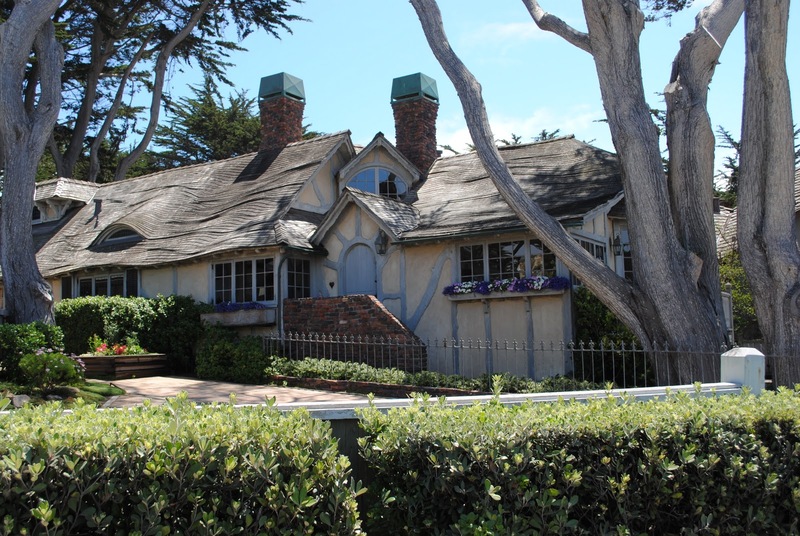 Ocean Ave between Delores and Lincoln Ave, Carmel-By-The-Sea. The atmosphere at The Grill on Ocean Avenue is warm and relaxing — open, bright, modern and airy, tastefully trimmed in oak and linen around a large Carmel stone fireplace. It is one of the Monterey Peninsula’s 10 best restaurants, as named by Epicurean Rendezvous Restaurant Guide and the Monterey County Critics Choice list. The cuisine is lyrical, clearly California in its freshness and lightness. Simple in appearance yet bold with its flavours, this Japanese-California seafood restaurant is one of Carmel by the Sea’s most inventive eateries. Among the best entrées is the almond-crusted sea bass served with Chinese cabbage and rock shrimp stir-fry. The warm, wood-lined dining room is broken up into very private booths. 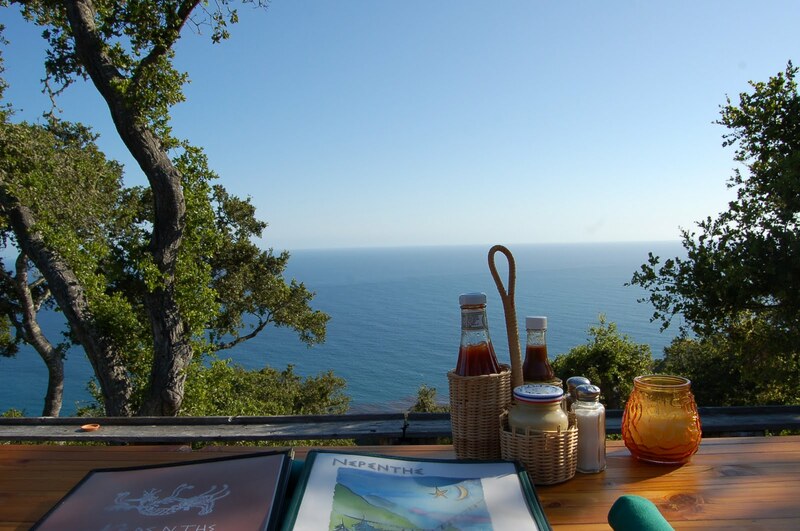 Perched proudly atop some cliffs overlooking the glistening Pacific Ocean, the view from Tickle Pink Inn can only be described as utter magic. 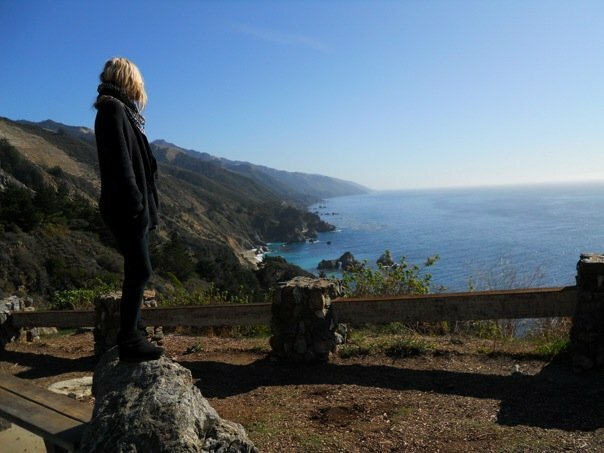 But it’s not just the awe-inspiring views that make this hotel one of the best places I have yet to stay in California, it’s also its seamless blend of what I like to call “the travel trifecta” – unparalleled location (views), luxurious rooms and faultless/easy-going service. Be sure to say g’day to Manager Krysty Parker – she’s the best! Amazing place and beautiful pictures and people! A must see destination! A must see destination! For a visitor to California or even a Native like me!